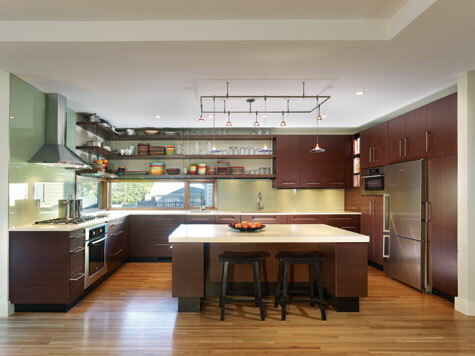 Kitchen designer Jennifer Gilmer created a streamlined space, in keeping with architect Randall Mars’ plan. Working together, the Nifontoffs and Mars decided to add on to the existing house. 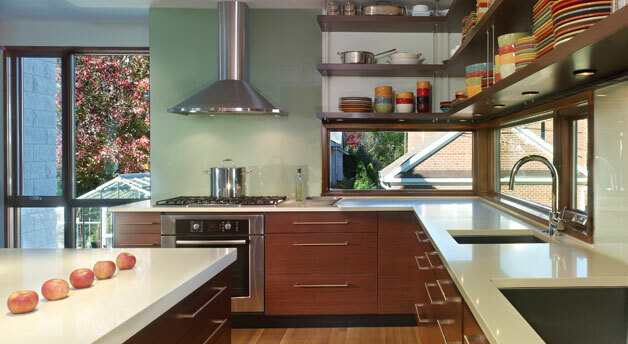 The architect designed a two-story addition comprised of an open-plan kitchen/family room with a breakfast nook, a dining room area (currently in use as a home office), a mudroom with access to the backyard, and on the second floor, a master bedroom suite with walk-in closet and bath and rooftop balcony. An unfinished basement—which will one day become an in-law suite—boasts large picture windows and French doors out to the backyard. 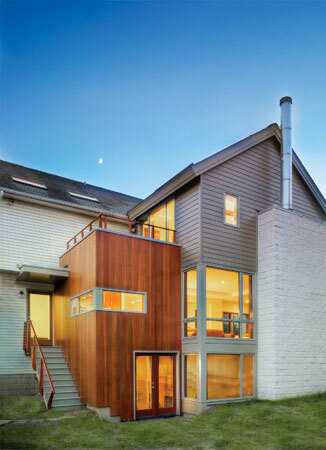 HardiePlank siding and vertical mahogany panels clad the home’s new exterior. 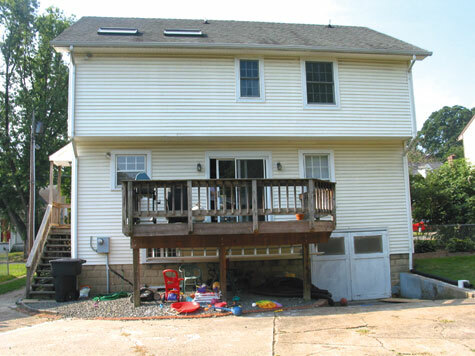 The original structure was dull and flat, with a haphazard deck off the back. The focal point of the newly built family room is the fireplace, which covers the length of one wall. 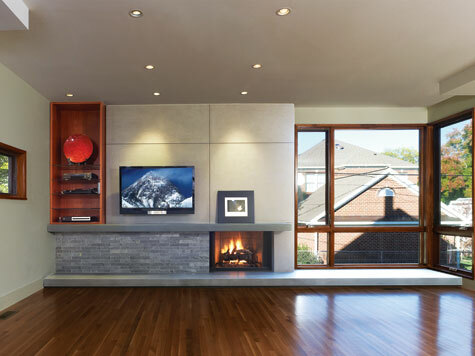 Adorned in a spare, charcoal-hued fiber-cement material called Eco-Cem, the wall blends seamlessly with the bluestone mantel and hearth; a panel of slate-like stone tile embellishes the space below the mantelpiece, and custom shelving has been built in to one side. The family room boasts a fireplace and large-scale windows to let in the light. 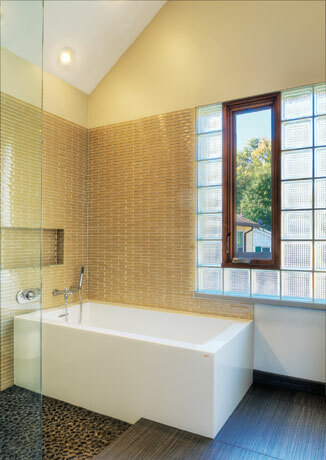 The master bath is bathed in natural light from a glass-block wall and skylight.